Property Location With a stay at Congress Plaza Hotel, you'll be centrally located in Chicago, steps from Auditorium Building and Theatre and Columbia College Chicago. This hotel is within close proximity of Museum of Contemporary Photography and Spertus Institute of Jewish Studies. Rooms Make yourself at home in one of the 870 air-conditioned guestrooms. Complimentary wired and wireless Internet access keeps you connected, and cable programming provides entertainment. Private bathrooms with shower/tub combinations feature complimentary toiletries and hair dryers. Conveniences include phones, as well as safes and desks. Amenities Take advantage of recreation opportunities such as a fitness center, or other amenities including complimentary wireless Internet access and concierge services. Additional features at this hotel include gift shops/newsstands and wedding services. Dining Enjoy a meal at one of the hotel's dining establishments, which include 2 restaurants and a coffee shop/café. From your room, you can also access room service (during limited hours). Relax with a refreshing drink at one of the 2 bars/lounges. Full breakfasts are available for a fee. Business, Other Amenities Featured amenities include complimentary wired Internet access, a business center, and express check-in. Planning an event in Chicago? This hotel has 50000 square feet (4645 square meters) of space consisting of conference space and meeting rooms. Self parking (subject to charges) is available onsite. Special Event Rate - Standard King Room TV, iron, ironing board, complimentary Wi-Fi, Hair Dryer, safe deposit box, refrigerator. No breakfast included. Additional fees: Parking is $44.00 self-park per night and $49.00 Valet per night . You must be at least 18 years old to check into room. Payment Policy: First night room and tax will be charged at the time of booking the reservation. This Rate is based on 2 person(s) in room over age 18. Special Event Rate - Standard Double/Double Room TV, iron, ironing board, complimentary Wi-Fi, Hair Dryer, safe deposit box, refrigerator. No breakfast included. Additional fees: Parking is $44.00 self-park per night and $49.00 Valet per night . You must be at least 18 years old to check into room. Payment Policy: First night room and tax will be charged at the time of booking the reservation. This Rate is based on 2 person(s) in room over age 18. Best Available - Standard King - Free Internet In Room. - Standard King - Free Internet In Room - Air conditioning, Toiletries, Telephone, Closet, Free Wi-Fi in all rooms!, Wake-up service, Interconnecting room(s) available, Ironing facilities, Carpeting, Linens, Hair dryer, Heating, Laptop safe box, Desk, Towels, In-room safe box, Satellite/cable channels, Coffee/tea maker Super Saver Prepaid - Book Now, Pay Now..
Special Rate - 2 DOUBLE BEDS - STANDARD ROOM - Special Rate This special rate is offered for a limited time! Don't Delay, Book Today! This rate is Non-Refundable. Best Available - Standard 2 double beds - Free Internet In Room. 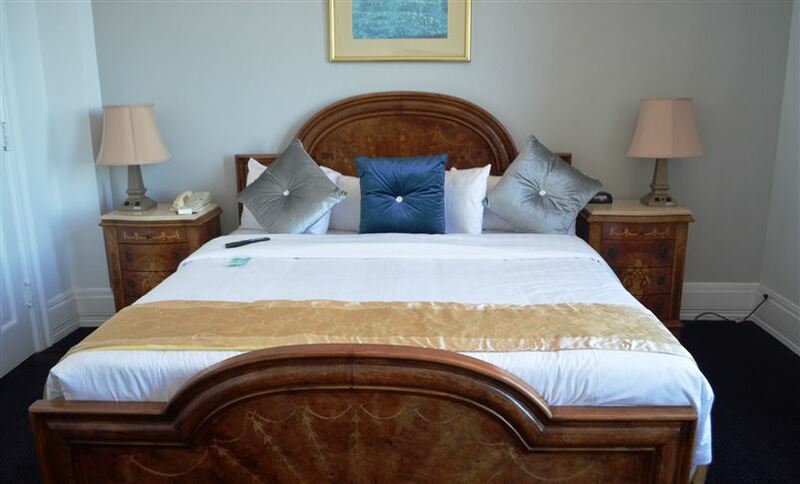 - Standard 2 double beds - Free Internet In Room - Air conditioning, Toiletries, Telephone, Closet, Free Wi-Fi in all rooms!, Wake-up service, Interconnecting room(s) available, Ironing facilities, On-demand movies, Carpeting, Linens, Hair dryer, Heating, Desk, Towels, In-room safe box, Satellite/cable channels, Coffee/tea maker Super Saver Prepaid - Book Now, Pay Now..
Best Available - QUALIFYING MEMBER RATE: Great Rate And Value. Standard RoomW Queen Bed Flat Screen Lcd TV. Wi-Fi (Wireless Internet) Is Free In Room Coffee Tea. Best Available - QUALIFYING MEMBER RATE: Aaa. Standard RoomW Queen Bed Flat Screen Lcd TV. Wi-Fi (Wireless Internet) Is Free In Room Coffee Tea. Best Available - QUALIFYING MEMBER RATE: Great Rate And Value. Standard 1 King Bed Spacious RoomHigh Ceilings Large. Windows Wi-Fi (Wireless Internet) Is Free Lcd TV Coffeetea. Best Available - QUALIFYING MEMBER RATE: Great Rate And Value. Standard 2 DoubleBds Spacious Room High Ceilings Large. Windows Free Wi-Fi (Wireless Internet) Lcd TV Coffee Tea. Best Available - QUALIFYING MEMBER RATE: Great Rate And Value. Large King Bed View Of Lake Michigan Grant Park. Large Windows Wi-Fi (Wireless Internet) Free In RoomCoffeetea. Best Available - QUALIFYING MEMBER RATE: Great Rate And Value. Lakeview Two DoubleBeds Great Lake And Park View. Buckingham Fountain Free Wi-Fi (Wireless Internet) Lcd TV. With a stay at Congress Plaza Hotel, you'll be centrally located in Chicago, steps from Auditorium Building and Theatre and Columbia College Chicago. This hotel is within close proximity of Museum of Contemporary Photography and Spertus Institute of Jewish Studies. Make yourself at home in one of the 870 air-conditioned guestrooms. Complimentary wired and wireless Internet access keeps you connected, and cable programming provides entertainment. Private bathrooms with shower/tub combinations feature complimentary toiletries and hair dryers. Conveniences include phones, as well as safes and desks. Take advantage of recreation opportunities such as a fitness center, or other amenities including complimentary wireless Internet access and concierge services. Additional features at this hotel include gift shops/newsstands and wedding services. Enjoy a meal at one of the hotel's dining establishments, which include 2 restaurants and a coffee shop/café. From your room, you can also access room service (during limited hours). Relax with a refreshing drink at one of the 2 bars/lounges. Full breakfasts are available for a fee. Featured amenities include complimentary wired Internet access, a business center, and express check-in. Planning an event in Chicago? This hotel has 50000 square feet (4645 square meters) of space consisting of conference space and meeting rooms. Self parking (subject to charges) is available onsite.